Casavvy has teamed up with CreditCards.com to offer you the best choices of credit cards for people with fair credit. A general range for a fair credit rating is anywhere between 600 and 670. A person who only qualifies for fair credit credit cards will be limited to the amount of options they have available to get approved for. Fair credit credit card offers can still be beneficial and helpful in terms of helping someone improve their credit score and get them closer to the credit card that they want. Someone with a fair credit score has usually missed due payments in the past, has one or two delinquent accounts, or has a poor debt to income ratio. If you fall in the fair credit category it is important to run a check on your credit history. It is possible that there could be a mistake in your credit history that could be fixed easily and instantly improve your credit score. So make sure you review your credit history to see if you are supposed to be placed in the fair credit score category. Most of the time someone qualifies for a credit card for fair credit will have to obtain a secured credit card that they can then use to improve their credit score. These cards come with features that include credit score monitoring, alerts when a credit limit is being approached or a payment is due, and many are available for instant approval. The credit card offers for fair credit will usually not come with any type of rewards, balance transfers, or other beneficial features. Credit cards for fair credit are meant to help people improve their credit score and then they will be able to apply for the rewards credit card that they want. By staying well under your secured credit card limit and being sure to make all of your payments on time you will see your credit score improve over time. Finding out that you are in the fair credit score range is nothing to get discouraged about. The best credit cards for fair credit are there to help get your credit score up and get closer to the low interest or rewards credit card you are looking for. 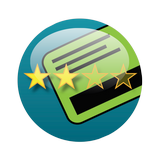 Take a look at the fair credit card offers on Casavvy and check out card ratings and user reviews to help you find the fair credit card that’s right for you. Don’t see the exact offer you are looking for on this page. Use the offer above to find more options from the top issuers to find your next credit card.